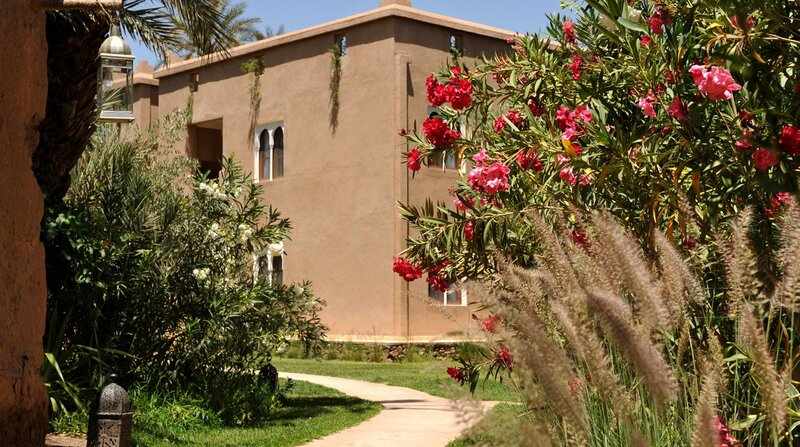 Standing amidst the immense palm groves of Skoura, this traditional guesthouse is an oasis of tranquillity, complete with luxuriant gardens and a refreshing free form swimming pool. 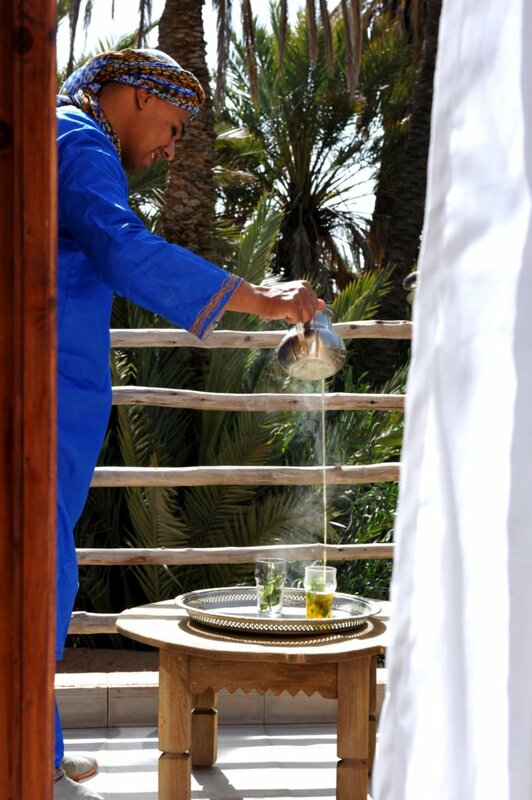 Named after the Arabic word for water, L’Ma Lodge sits in pretty gardens peppered with palms and fruit trees. 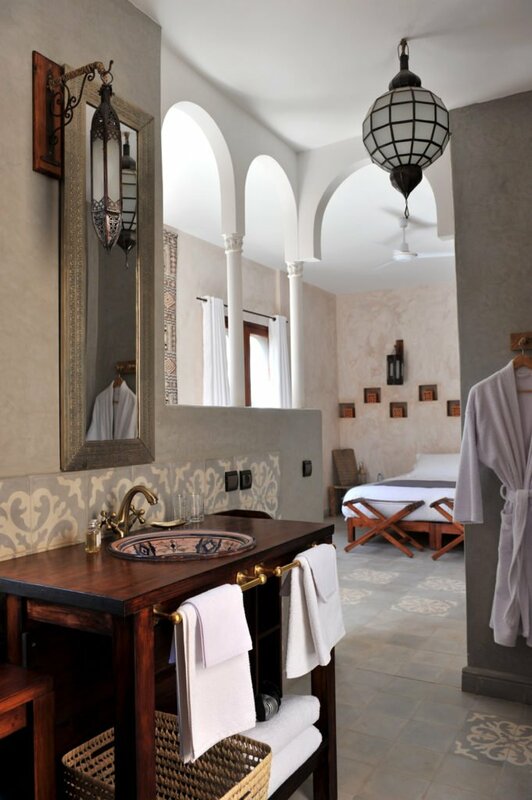 A traditionally-built adobe property, the hotel is beautifully integrated into its surroundings. 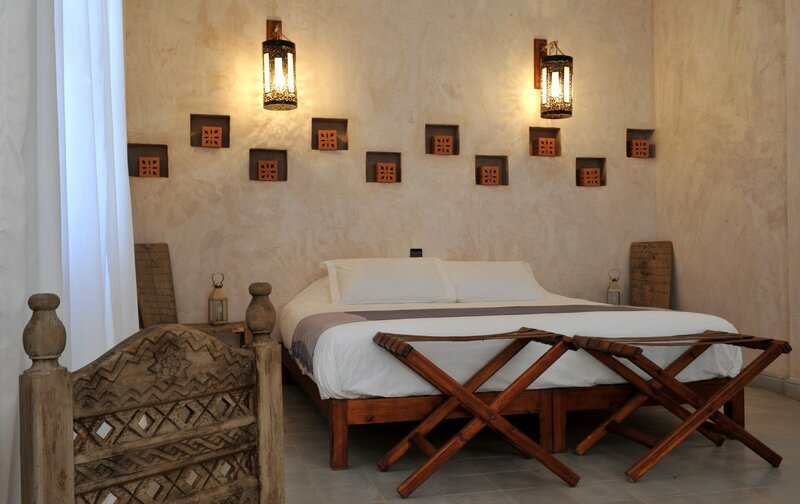 The communal building (called the Maison) houses two cosy lounges and a restaurant fitted with a crackling fireplace and piano. 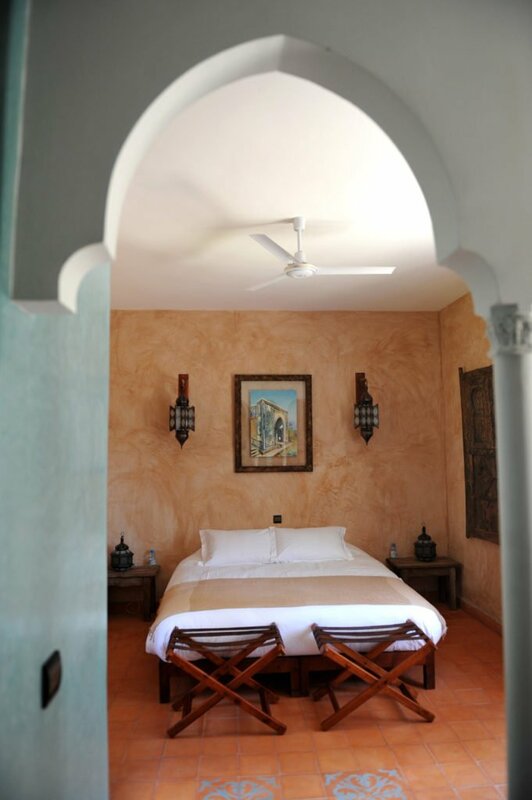 Large windows let in ample natural light, whilst the terrace provides a lovely view over the garden. 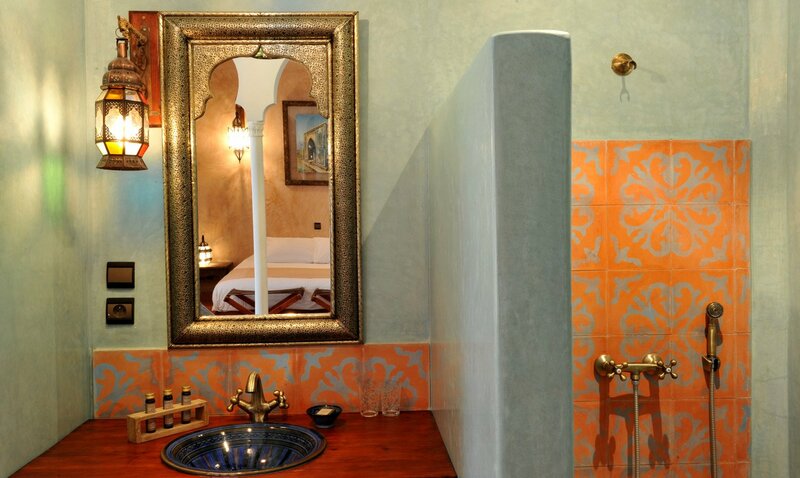 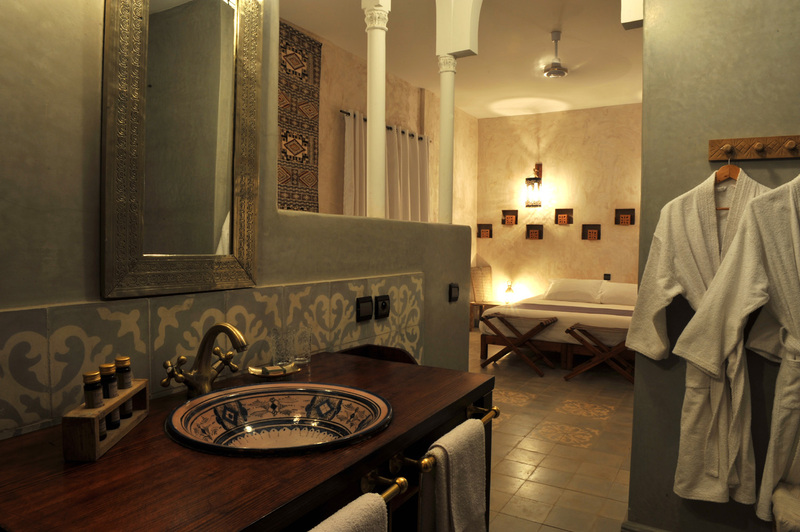 Set 100 metres back from the main house, the peaceful Riad houses four bedrooms and three suites. 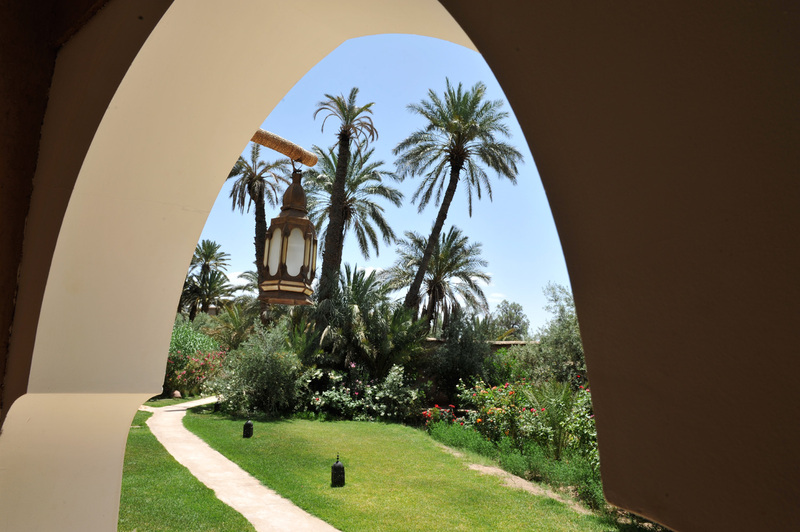 From the Riad’s rooftop terrace you can access panoramic views across the palm-studded landscape, stretching all the way to the Atlas Mountains in the distance. 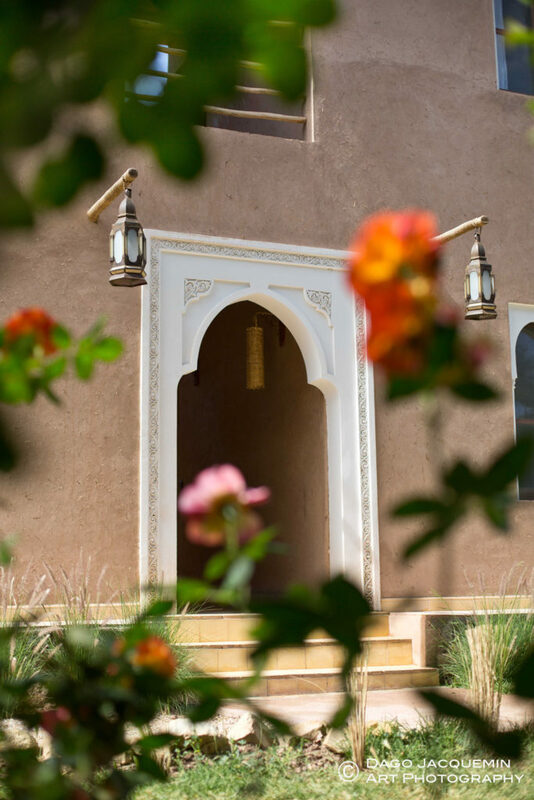 Active guests will find cycling, horse riding and hiking opportunities in the surrounding area, whilst those who want to relax can do so in the property’s 8,000 sq metre garden. 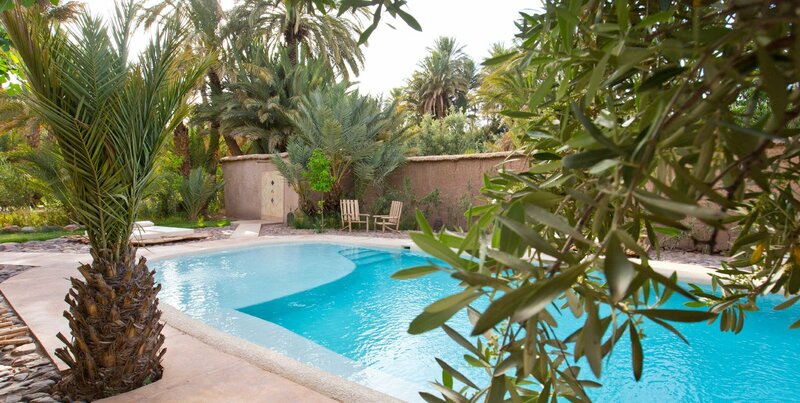 The perfect spot to read a book in the shade of fruit and olive trees.